We are super excited to share this wedding with you all. This wedding was a very special wedding to us because it belongs to a dear sweet photographer friend of ours Kristen McMenamy who is now Mrs Aric Crouch!!! If I have ever seen a wedding completely describe someone, this wedding was oh so very Kristen! Jaime with Bella Flora of Dallas really did an amazing job of taking the essence of Kristen and Aric and created a masterpiece. We are so excited for these two!!! 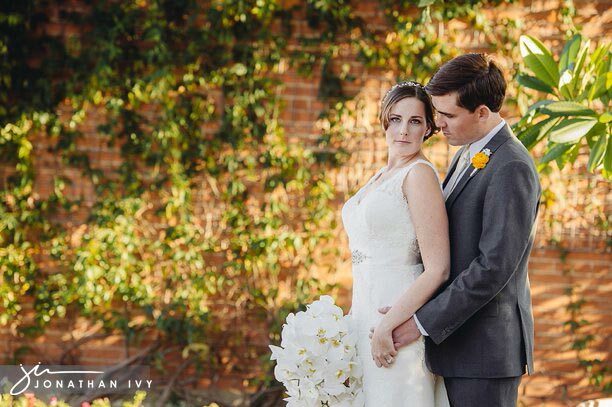 We kick things off with Kristen’s bridal gown from Patsy’s bridal in Dallas. Saydee has no problem being in front of the camera, can you tell? Their 1st Look…I think Aric was more nervous! One of the nice things about photographing a photographer is that you are sure to get to take a lot of fun photos! Kristen did an awesome job with these ombre bridesmaid’s dresses. We have never seen Hickory Street Annex look so pretty! The doors in the background were built by the groom! He can create just about anything! And their parents surprised them with a fireworks show at their exit. Needless to say, I think it worked!